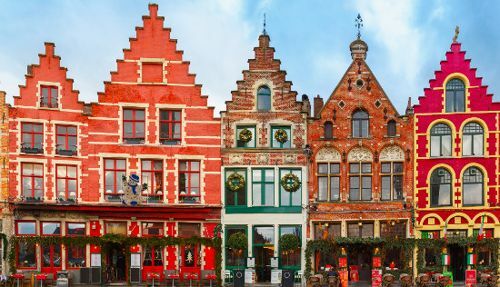 Bruges is a remarkable Belgian city, popular for its fantastic architecture, chocolate and, of course, the Belgian beer. Actually, for strolling in the center of the city, you won't need any transport. Yet, for taking a direction to further sites of Bruges, where you can find not less impressive places to visit, you definitely need to deal with a reliable car supplier. The entire city shows deep appreciation toward its history, yet the modern establishments are a proof of love toward the present. Church of Our lady, Groeninge museum, Hof Bladelin and a great number of other sights are definitely of great importance. Yet, if you are here with your friends, hire a minivan with a driver in Bruges and tell the chauffeur to take you to La Galleria, Alea, NUNO'S Wijnbar, Comptoir Des Arts bars to enjoy the real Belgian beer. Before you arrive in Bruges, it's worth thinking about the means of transportation. For traveling with friends in comfort and safety, you'd better consider hiring a minivan with a driver so that all of you have your comfy seats and enjoy the most of your trip. 8Rental is the service you can trust every time you are to travel abroad. So, don't lose your precious time but rent a van with a driver in Bruges before leaving for this city. This way you will greatly save your time and your entire group will be delivered to your hotel straight from the airport. 8Rental can meet its clients anywhere mentioned in the order, let it be the airport, railway station or any other destination. Dealing with 8Rental and booking a vehicle from this trustworthy car rental service, you are sure to impressively benefit. We are committed to maximal transparency, hence can tell you the exact amount of your order with no hidden fees. Moreover, all taxes and fees are our responsibility. Just get a quote, fill out the necessary details and the price will be precisely calculated. Be ready to be pleasantly surprised. Additionally, 8Rental has included the fuel and insurance in the offer. Hence, the costs for the latter won't be counted in the final bill. 8Rental can offer a perfect minivan to suit our client's requirements. 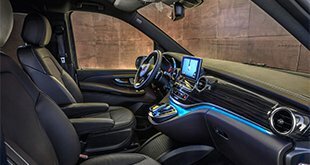 Taking into account such aspects as the number of passengers that will be riding in the vehicle, the budget you can afford, and the expectations you have, we are kindly providing for booking a Mercedes Viano, V class, or Mercedes Sprinter type (VIP option is available). All these models are equipped with premium comfort amenities, including convenient seats, window curtains, central heating, air conditioning, audio system, etc. If the first two models are relatively compact and neat to drive only up to nine people, the third model, and its VIP variant is significantly larger and can accommodate up to two dozens of passengers. Rent a chauffeured driven minibus in Bruges on the most affordable conditions! 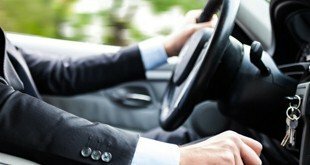 All drivers employed by our chauffeured service have valid driving licenses, years of experience, and a high sense of responsibility. By selecting 8Rental car rental you entrust your travel to real professionals. They know the city roads well enough to take the necessary direction easily. You won't ever get lost with them, while if you choose public transportation, a series of inconveniences will be awaiting you including standing in queues for buses, or the underground, requesting every second every passerby about the right way or searching it in the map/GPS. Additionally, wouldn't you like to hang out late with your friends in a pub in Bruges knowing all of you will be safely driven to your hotel afterward? Take a chance and let us treat you like royals!